Nicholas Scott graduated from the Australian National University with a Bachelor of Laws (Hons) and Bachelor of International Relations in December 2017. Nicholas joined Colquhoun Murphy in 2013 as a Law Clerk, continuing as a Paralegal from 2016-2017, and was admitted as a solicitor in 2018. During the latter half of 2017, Nicholas volunteered as a Paralegal with the Aboriginal Legal Service (NSW/ACT) Limited, assisting with the provision of legal services and representation in criminal matters to Aboriginal and Torres Strait Islander men, women and children in New South Wales and the Australian Capital Territory. Nicholas has experience in litigation in varying jurisdictional contexts, including the Magistrates Court of the Australian Capital Territory, Supreme Court of the Australian Capital Territory, and the Federal Court of Australia. 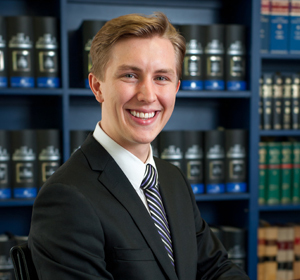 He has a keen interest in civil litigation, particularly in commercial matters. He also assists in various commercial transactions and estate planning matters in both the Australian Capital Territory and New South Wales.